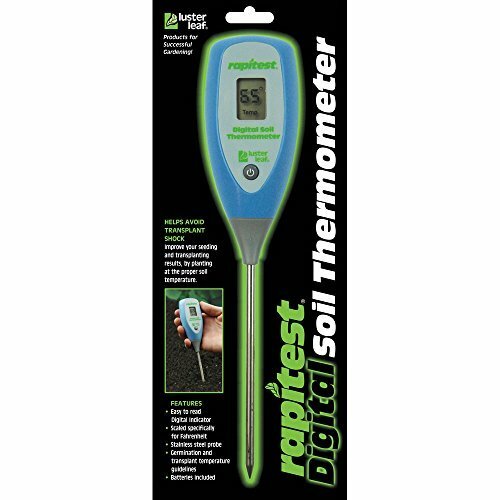 With the rapitest digital soil thermometer, reading temperatures is easy and accurate. Improve your seedling and transplanting results by planting at the safe and proper soil temperature. Digital display provides readings in fahrenheit. Stainless steel probe tip resists rust from moist soil. Batteries included.